I've been changing the axle on my old 40's bike today-and have noticed that the chainring is cracked where it screws into the crank-It's steel and of this design and the crack runs all the way through one of the outer 'spoke' parts and a little way through two of the inner ones where they all meet. I've added a washer to the back to try and spread the force out where the crank screws in to it, but I am wondering how safe it will be to ride? The whole thing is steel and due to the design the force should be quite evenly spread but I don't really want to be half way up a hill and the whole thing to collapse on me! 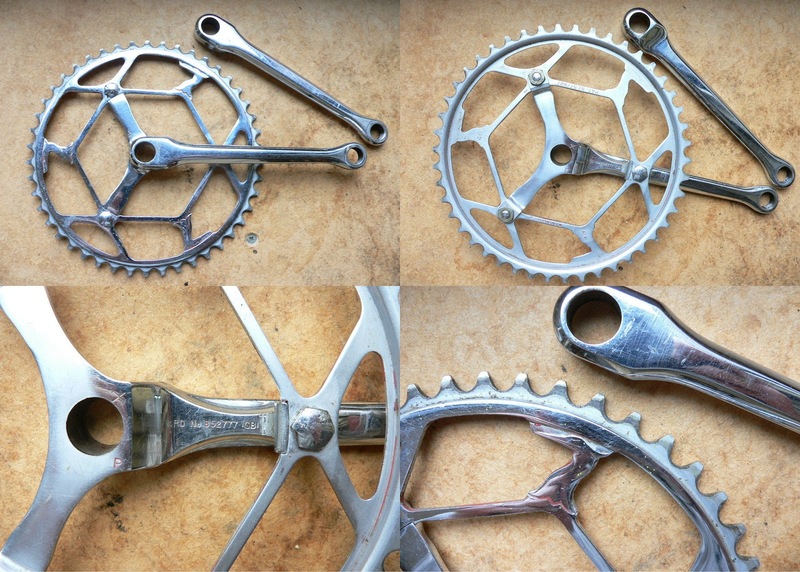 The whole thing is to this design (not the actual one in the photo) and it is cracked on the 'spokes' right where where it screws into the back of the crank arm. Any engineers types out there got any thoughts?